One of the most cherished pieces of handiwork performed by the Australian Field Sqadron Engineers was to assist in the construction of the tea rooms for Mrs Alice Isabel Chisholm (née Morphy) (1856–1954) at Kantara. 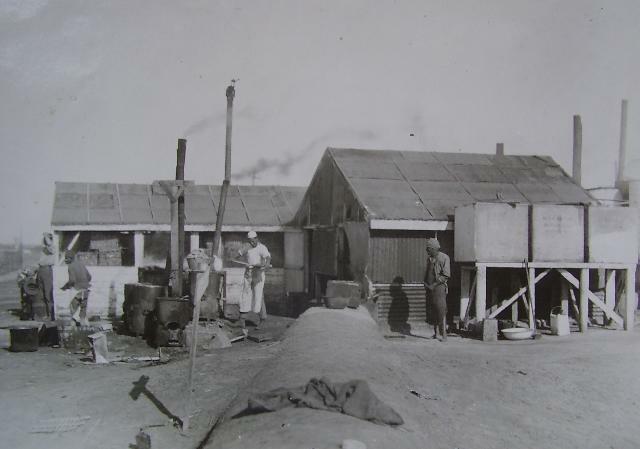 The engineers spent some time constructing the various buildings required by Mrs Chisholm for her ongoing work. This expanded to include dormitories and dining-rooms and eventually had the capacity for handling thousands of men. 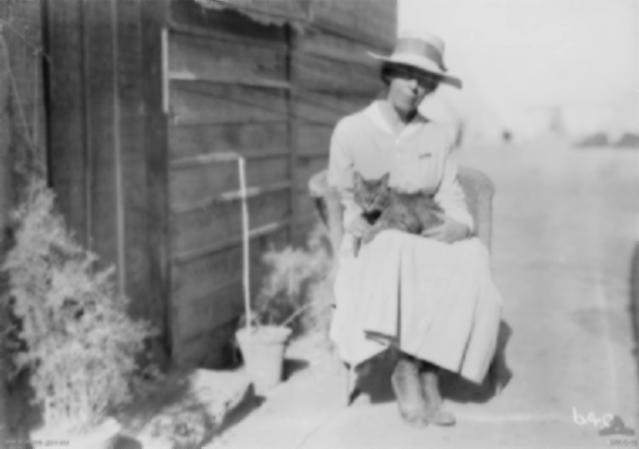 Mrs Chisholm’s canteen became a cherished institution in the Middle East. Soldiers flocked there in their spare time or when on leave. For a small price they found care, comfort, food, and the luxury of showers. Most of all they were provided with a small touch of home. 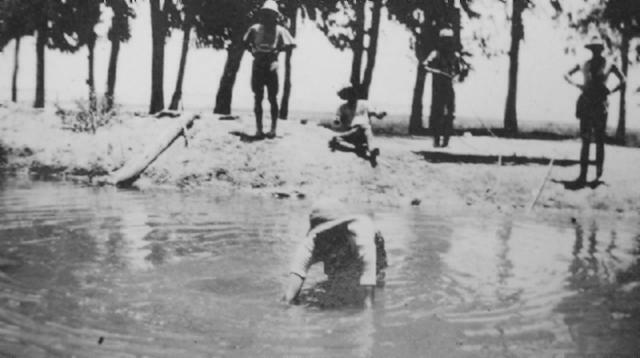 With the decision to keep the Light Horse in Egypt, one of the important innovations was to create the Field Squadron Engineers. 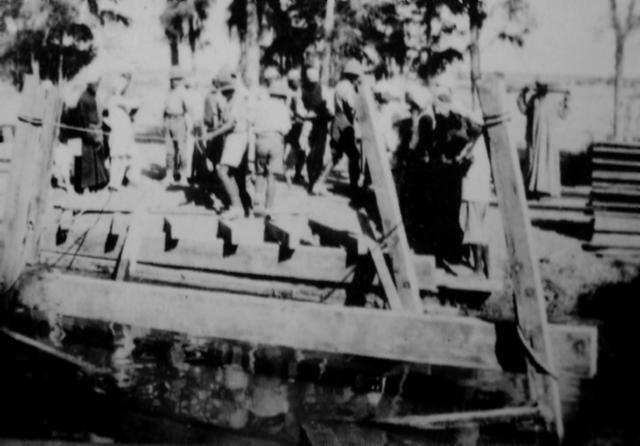 The first independent task performed by the Australian engineers was to build a bridge across the Sweetwater Canal at Kantara in July, 1916. It was a small start to undertaking some major tasks. This picture articulates all people have come to expect from a work site. One fellow doing the hard work watched by everyone else. Although it seems that way, these men worked very hard at their tasks. Once the man in the water finished his task, it was the signal for his work mates to get busy. With some hard work, good leadership and materials, the bridge is nearly completed. After this bridge, the engineers tackled some more urgent projects.